Jax must choose how to handle both Gemma and his futrue with SAMCRO. Watch Sons of Anarchy Season 7 Episode 12 Online right here at TV Fanatic. Jax finally tells Unser the truth about Gemma and the man is shocked. Jax then asks Nero if he'll take Wendy and his boys to the farm with him when he goes to get them out of Charming for a while. Jax and SAMCRO sit down with the rival gangs to divide up the territory from the Chinese. All appears to be going well until Connor from the Irish says he won't move forward with the plan. Turns out Connor was selling guns on the side and the Irish aren't happy about it. Roarke tells Jax that if he kills Connor the Irish will go ahead with this plan. Later, Jax learns that Gemma has gone up to her father's. Nero asks Unser to go and stop Jax from killing her, even if it means arresting her. Unser gets there first but Gemma won't go with him. When Jax arrives, Unser refuses to leave saying he has nothing left. Jax shoots and kills him. Then he's left with Gemma who tells him she loves him and understands what he must do. 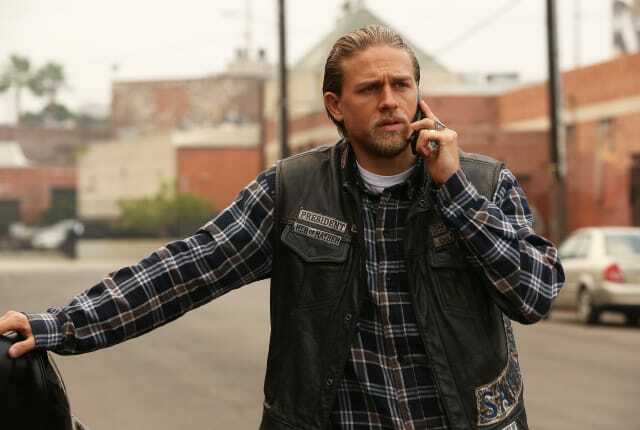 Watch Sons of Anarchy Season 7 Episode 12 Online right here at TV Fanatic.